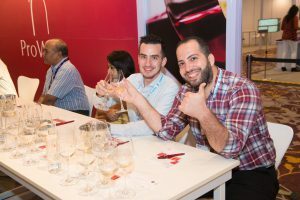 The first do when drinking wine is that you don’t need to worry about saying the right thing or perceiving the aromas and flavours as anyone else does. Wine is wonderfully subjective and your appreciation of it depends on the time of day, how much wine you drink, what you usually eat or drink, your mood and of course most importantly your own preferences. Do trust your own instincts and form your own opinions. 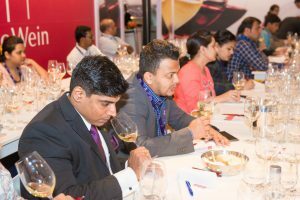 The wine world comes across intimidating at times but it really isn’t and once you get into it you will find that it is not that complicated either. A couple of things you should do. Ensure your wine is at the right temperature. Too cold and you will not be able to taste or smell all the aromas and flavours, if too warm the wine will come across flabby and flat. Ideally wine should be drunk at 11 degrees Celsius for whites, 6 degrees Celsius for sparkling and sweet wines and 16 to 18 Degrees Celsius for reds. Do drink your wines in the right glassware. The shape, size and thickness of the glass all matter and also of course the cleanliness of the glass. If you’re going to pursue discovering wine, I would recommend spending a little money on good glassware. Incorrect glassware can destroy even the best of wines. If in your trip on discovery road you intend building a collection at home it would be wise to buy a wine fridge to store your wines at the right temperature. Do not keep your wines at the back of your cupboard where they can be subjected to 40-degree heat. Do allow some reds wines to breathe. Open the bottle and keep it open for some time depending on the wine you are about to have or pour the bottle into a decanter to speedup the process. You could also simply rotate the wine in your glass to enhance its offerings to you. Wine opens up as it comes into contact with air and releases otherwise hidden aromas. Please do experiment with our local cuisines and cuisines from all over the world with wine. We have some of the greatest culinary traditions on the planet and not drinking wine with our food is a shame. Do experiment, get a bunch of people together and constantly try new wines. 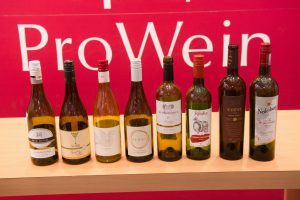 The world of wine is very large with many countries, regions and grape varieties producing a plethora of styles for you to discover. 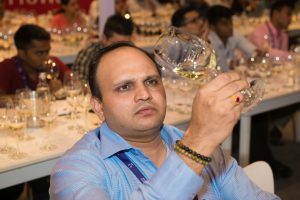 We even have a wine-growing region in our very own backyard – Nasik/Akluj/Nandi Hills to name a few and you will find that there is great quality being produced here itself. Do not put ice in your wine, do not fill it all the way to the top and please do hold the wine by the stem of the glass and of course don’t be disappointed if the wine you have bought is not to your liking. Move on and do try the next.